eCommerce stores face stiff competition. If your site loads slower than your competitor, you will lose revenue to them. Your store’s performance is dependent on your hosting provider. That’s why having the best Magento hosting would mean faster speed, regular security patching, and optimized website experience. 2. Why shouldn’t you go for shared hosting? 3. Unmanaged Vs Managed Hosting? Magento is a beast to handle but we are awestruck. Magento is a beast of a CMS with immense capability and functionality. In fact, with the release of Magento 2, it has provided better user experience and functionality. 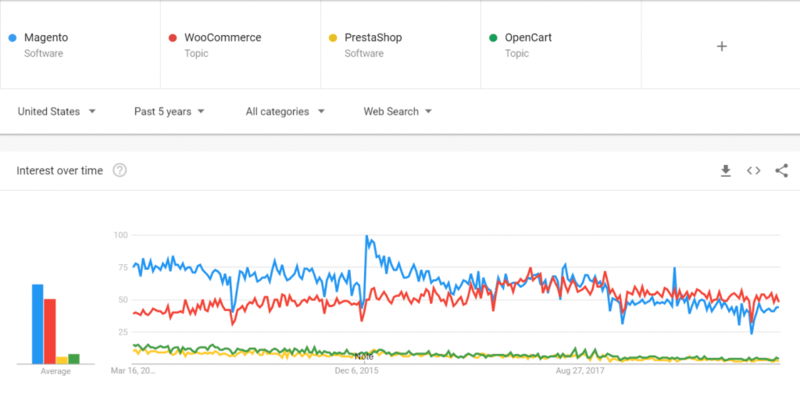 If you haven’t migrated to Magento, you might be losing a lot. However, it comes with a price in terms of performance. Why is Shared Hosting Not An Option? Once you’ve built your eCommerce website, choose a good hosting. Being a resource-intensive CMS, Magento requires dedicated resources. With so many cheap Magento hosting available, there comes a risk. With shared hosting, your Magento store is at a greater risk of getting attacked. It takes one of the webmasters in your shared hosting environment to misuse sensitive elements, causing glitches on the server, or gaining access to your data. Performance is always an issue when you’re with generic hosting providers. On shared hosting, even when you’re experiencing moderate traffic and the other website experiences sudden traffic, your website may slow down. This will result in losing your traffic and revenue! I have struggled to find a decent Magento store on shared hosting and not facing downtime issues. Since Magento needs resources to perform optimally, shared hosting is far from ideal. Note: Do you think you could risk sensitive information, access to your customer’s information, and whole hacking thing? A shared Magento hosting that costs less than a Starbucks coffee would do more harm than good to your store. Unmanaged Vs Managed Magento Hosting? It depends on the time you have, skills, and money. Most of the eCommerce websites go with managed Magento hosting. They avoid speed, security issues and focus better on core tasks. With unmanaged hosting, you have to take care of a whole new level of things. For example, regularly patching the store, optimizing the speed, installing and renewing SSL, fixing whenever the site is down even if it’s 2 A.M.
Budget matters. But that doesn’t mean shared hosting is a good option. You will have to pay hidden costs there. Question 1: What’s the traffic behavior like? Know the number of requests your server receives in normal and peak times. Reason: Helps in understanding the size and scope of hosting architecture that might be required. Contact your hosting provider for Apache or Nginx logs or raw files to better understand the time slices of requests received. Example: If you receive 150 server requests per day particularly between 5 PM to 8 PM. Whereas, your other website receives 150 server requests spread across the day. Although Google Analytics will show the same requests for both the websites but these websites have different Magento needs. Best Magento Hosting Provider would analyze the peak traffic to your website, perform a load test so as to check if the server has the capability to handle the page requests or not. Question 2: How many products are there and types? Reason: The number of products, pages, and types of product will determine the server requirement. Example: If you have a category page with 50 simple products versus a category page with 50 configurable products. The latter would need more resources because of running the indexes, rendering the products to the page, and updating promotions. Best Magento Hosting Provider would know which configuration you’d need to run your store efficiently. Question 3: Where’s your majority of traffic from? Reason: Latency is an important factor for eCommerce websites. Lesser the gap between the user request and server response, better is your website’s SEO and enhanced user experience. Best Magento Hosting Provider would analyze and figure out the location of the majority of your user-base and give you the closest possible server location. This is why every store needs a CDN. Who makes the best Magento hosting provider? Choose hosting providers where you are getting 24*7 technical support and emergency support services. It’s a better option if you’d go for Magento specific hosting over generic hosts. The experienced ones know what could possibly go wrong and can fix in minutes. P.s Check their support by opening a ticket and see if they reply quick enough. Since Magento is a resource-intensive CMS, it needs dedicated attention. Don’t go fall for $3 tags. If someone is charging a premium amount, analyze if they justify that. Are they offering any additional benefits like SSL, CDN, developer support, or WAF? Are they continuously investing in technology and innovation? This will ensure you’re on the latest Magento version that delivers a user-friendly experience and boosts revenue. Once you have analyzed your website requirements, finding the best host for your business gets easier. the word best magento hosting is abused, every hosting company writes this. I totally agree. In fact, everybody has its own explanation of the word “best”. It’s important to have a checklist beforehand since there are a lot of managed Magento hosting providers in the market. This guide provides points which are often overlooked by customers. P.s. “Best” would be simply who fits your company requirements.